It is all too easy to base marketing strategies on hope, fear, what has worked in the past and what others are doing, but the best marketers will hinge their decisions on the facts. In 1836, French physician Pierre Louis conducted one of the first clinical trials in medicine. 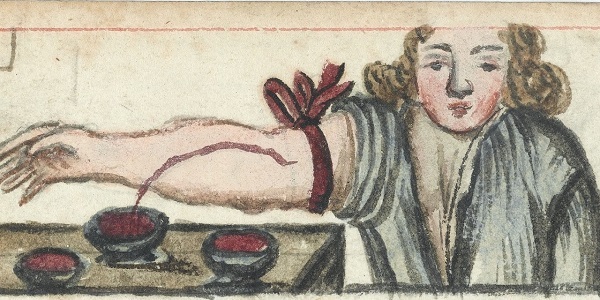 At the time, the removal of blood – or ‘bloodletting’, most often by leeches – had been accepted for centuries as a cure for everything from indigestion to cancer. It was around so long, in fact, that the leading British medical publication is still called the Lancet – a device used to drain blood. Louis’s clinical trial compared pneumonia patients treated with bloodletting and a set of patients treated without it. Surprise, surprise, blood-letting was linked to far more deaths than cures. Louis’s trial was one of the first cases of what we now call ‘evidence-based medicine’. Like bloodletting, there are lots of ideas that we now no longer believe – the divine right of kings, the earth is flat, the sun goes around the earth, capital punishment and primogeniture, to name but a few. Evidence-based thinking is the basis of the scientific method that demolished all these ideas. But there is a problem. In spite of all of this, a lot of medical decisions still represent old practices learned in medical schools, hospitals tradition or trust in experience over the latest research. You can blame the fact that there is too much evidence to absorb, that there are too many salesmen from pharma brands trying to sell the benefits of their latest wonder drug and that, of course, it can be hard to tell good data from bad data. More than 5,000 new scientific journals were created between 2004 and 2014 to handle the increasing volume of research findings. Now try this exercise: replace the word ‘medicine’ with the word ‘marketing’ and ‘doctors’ with ‘marketers’, and you have an uncanny reflection of what is happening in our industry today. The sad fact is that even we marketers, the supposed experts in positioning, branding and communication, have become suckers for the sales patter of Google, Facebook and various industry ‘gurus’. Instead of spotting hucksterism for what it is, our bias for the new and the novel stymies us. In fact, we love new and exciting things even when they are vastly inferior to old ideas. Snapchat strategies versus television campaigns, anyone? Let’s not tut-tut at doctors for not keeping up with the latest research. How many of us here have subscriptions to the Journal of Marketing? It has been around since 1936, so it must be doing something right. Do any readers know the most cited article in all the peer-reviewed marketing journals? I’m a hypocrite, I certainly didn’t, but according to Google Scholar, it is ‘The Value Concept and Relationship Marketing’ by Annika Ravald and Christian Grönroos from 1996 – cited almost 3,000 times. Surely I am not alone in making a few decisions based on hope, fear, what others appear to be doing, what I believe has worked in the past and what the boss wanted. In short, on lots of factors other than the facts. I have fallen for the juicy stories and vivid cases studies instead of asking for detailed data. Worse, I have followed these narratives then welded them to my own biases and prejudices. Here’s one such bias that I have come across at pretty much every brand I worked for: the belief that the target customer was, say, middle-class Telegraph readers in the home counties. In one particular case, this belief meant that all media was bought on that basis. Worse, I believed this fallacy too. After doing a lot of intensive, data-driven research, it turned out that there were two core customer segments, which we called ‘inner city hipsters’ and ‘blue collar estates’. All that money wasted due to believing our own stories. And I am not alone. Just in the last few weeks, I met representatives of an international airline who believed that their core customer base was millennials, whereas the analysis showed that few people under the age of 40 flew with them. It reminds me of the great phrase coined by Stephen Colbert, the American comedian: ‘truthiness’. It refers to arguments not based on fact but what we would like to be true. Let’s start with some simple basics: don’t fall into the traps that various vendors and slick agencies tell us. Stop the nonsense such as ‘Facebook marketing’, ‘inbound marketing’, ‘content marketing’ – these are fake names invented to brand something that has been around for years. Finally, let’s look at fashions and the concept of ‘future thinking’. At every conference I speak at or attend, there is one question that is always used and, indeed, expected – typically as the last question – and, it’s a variation on this: ‘What’s next? What’s coming around the corner?’ It’s a great question, but it’s also one that nobody can answer. All too often, we grasp at ideas because we heard them elsewhere, rather than think for ourselves. But it is the thinking for ourselves that matters. To quote Jeffrey Pfeffer of Harvard: ‘Thinking is very hard work. And management fashions are a wonderful substitute for thinking.” Change the word ‘management’ for ‘marketing’ and I think you will agree Pfeffer’s phrase is not too wide of the mark for our chosen profession. Remember, it is essential to adopt the practices and mindset of evidence-based marketing. Why? So then we can see the forest, the trees and everything in between. Let’s make it even easier and have this as our mantra: tools change, tactics occasionally change, strategies can change, marketing principles never change.